Pure grass flower walls now available on our website! We’ve been selling grass panels to our customers for a while and have decided to launch a select range on our website! All the grass panels available here are the high quality versions of what is available and are sold in bundles of 10 pieces. 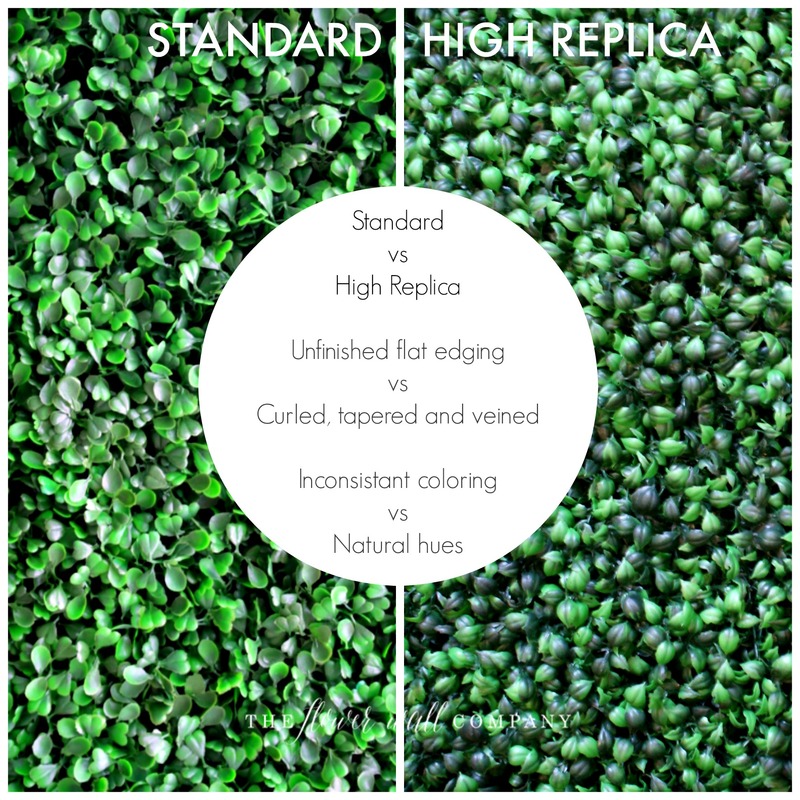 A quick search on everyone’s favorite inspo website Pinterest shows how popular the simple grass wall has become! 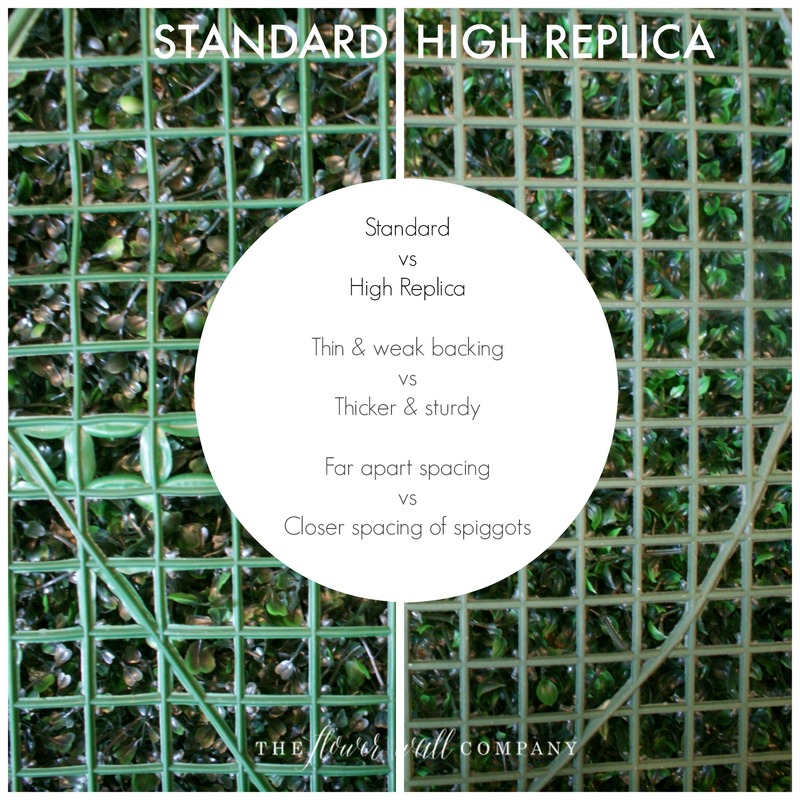 The high replica panels are not the same as most you can find but still at a very competitive price! So far we have types of grass paneling on our website direct to buy but will be adding more shortly when we find the pieces that meet our high standards! Available to purchase in bundles of ten, you can view our two styles on our new category, Grass Walls or email us for more information! 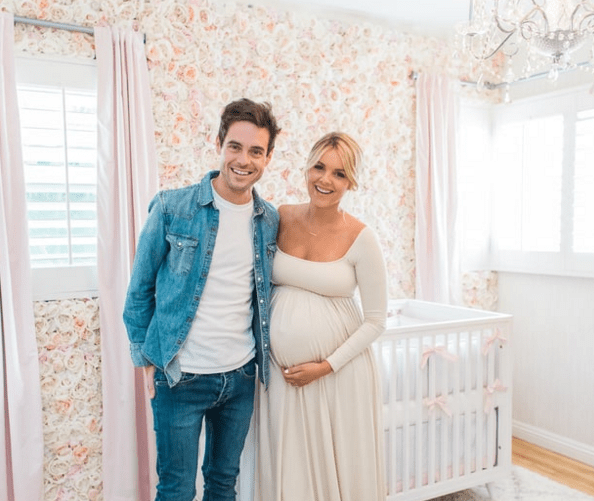 Bloomin’ gorgeous is what we say to these beautiful images from entertainment gossip go to US Weekly! 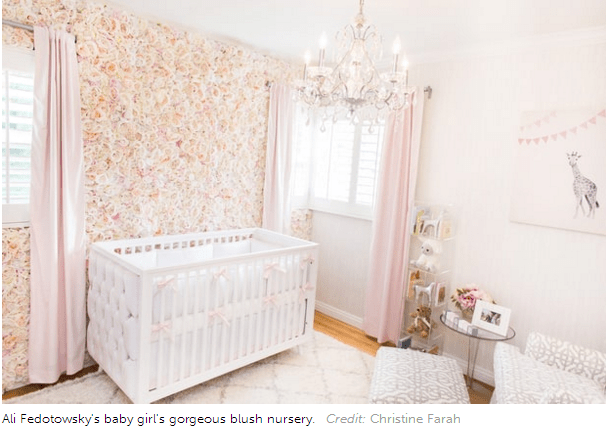 TV Star Ali Fedotowsky’s beautiful baby girls nursery looks stunning with our Full Bloom Flower Wall! We’re happy to say, this isn’t an ‘inspired by’ blog post, the gorgeous flower wall you’re seeing in these pictures was created by us! We’re even more happy to say the great news is that this Full Bloom Flower Wall is featured in our summer sale with around 800USD off the regular price meaning you too can have an amazing home decor instillation or backdrop for your wedding, shower or event. What we love about this wall is the intricate detailing and soft colours. The wall contains around 14 different kinds of flowers including different species of rose, peony and hydrangea, and of course features mostly own own custom colored and designed florals for a floral backdrop on another level. 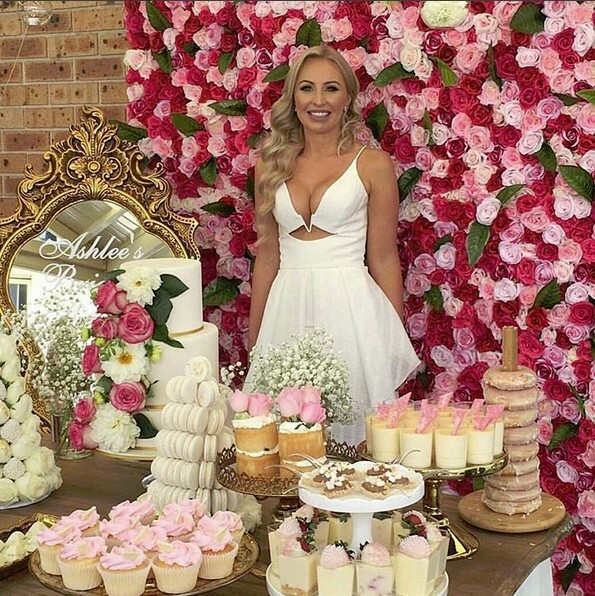 We’re in floored by these images and the feedback we’ve received – if you’re ready for the love to come to your wedding or event, click here to get your very own Full Bloom Flower Wall, or why not take a look at the full sale range on our website to see if there another gorgeous flower wall or two that catches your eye. 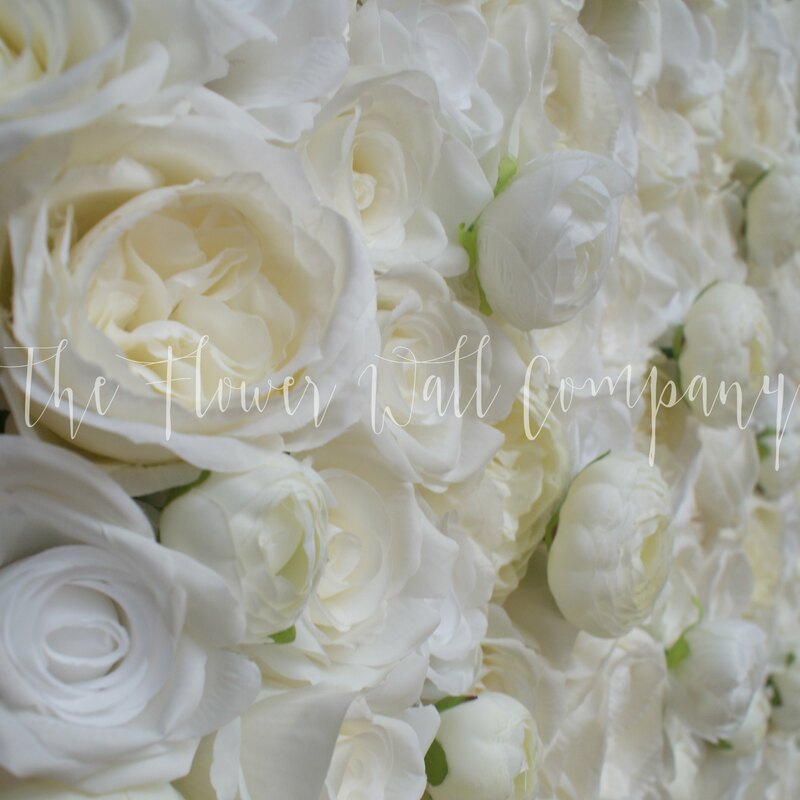 As always we list our walls in our three most sought after sizes but if there is a size you want not listed, please do email us for a quote info@theflowerwallcompany.com. 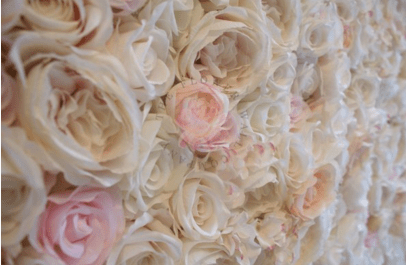 June Flower Wall of the Month – get ready for gorgeous! Hello June and hello June Flower Wall of the Month! With the beginning of a new month we can now debut our new promotional wall that will be added to our portfolio. This month, we wanted to go gorgeous with a versatile and effortlessly elegant flower wall, so we have created a new design that features custom designed and coloured flowers. What does that mean? Well it means you can be guaranteed our walls are not only amazing quality, but that you wont be getting a backdrop full of off the rack lower quality blooms that are mass produced. On to our gorgeous backdrop! 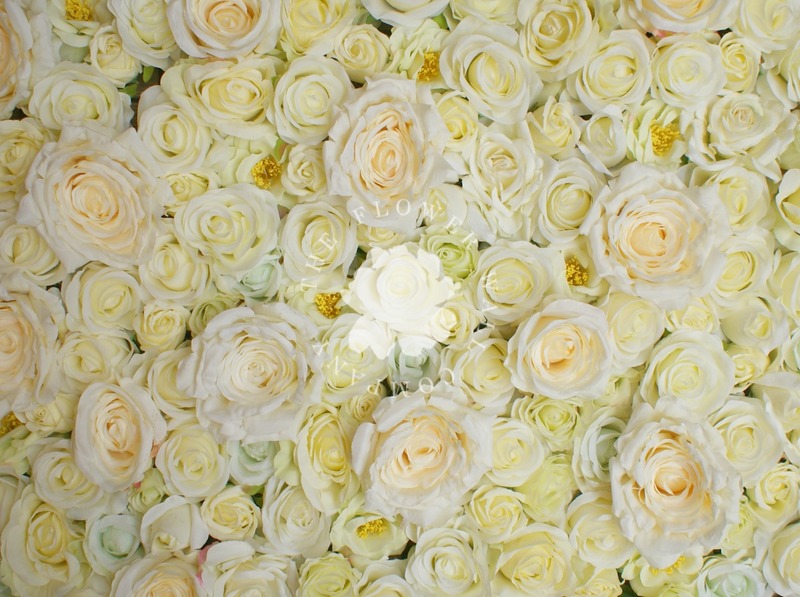 Tones of white, ivory and pale cream in peonies and roses of different species and depths create a multi dimensional, super life like flower wall. What we love about this wall is how soft and elegant it is, and yet it’s versatile enough to be transformed into something else with lighting, accessories, and other flowers. 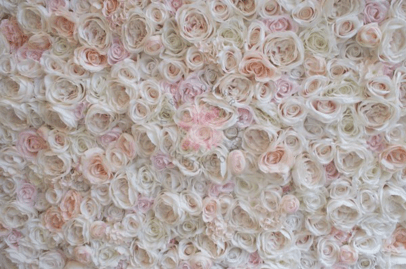 For June only we are offering a discount on this floral backdrop before adding it to our Luxe range. 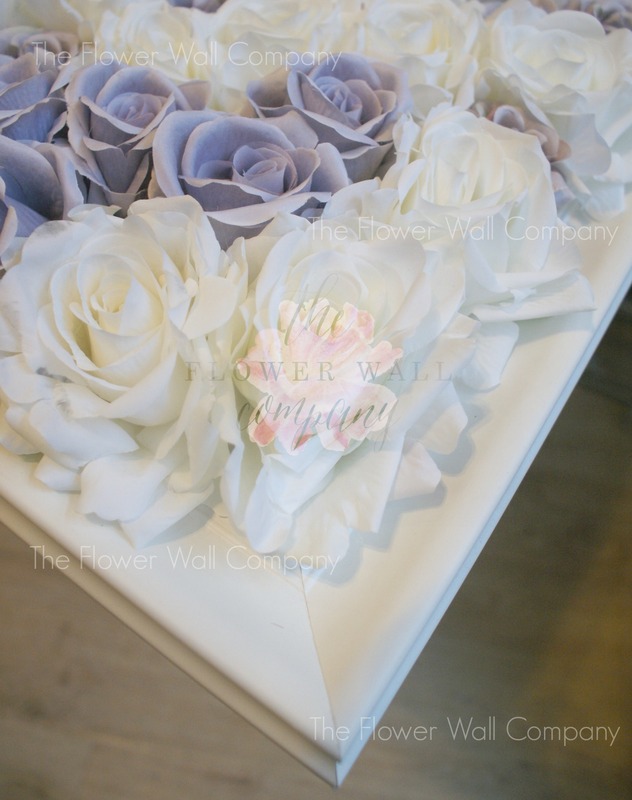 You can purchase this wall directly from our website here, or if you would like it in a different size, don’t forget we accept custom orders via email info@theflowerwallcompany.com. Lemonade: The word on everyone’s lips! For along time now we’ve been wanting to create a yellow toned flower wall, and what better time to do it than for all the sunshine and summer weddings! At first the colour yellow can be daunting, but it’s the perfect compliment to lilacs, pinks, blues and greens and is a refreshing change from cream or white. There is no more joyful colour than yellow and it would be hard for anyone to look at a gorgeous yellow flower wall and not smile! We’ve created our Lemonade Flower Wall with some fabulous blooms, including some small real touch roses and larger silk statement pieces that are almost 15cm high. All in all there are around 9 different types of rose in various shades and sizes. We’ve added in some very pale greens to really compliment and highlight the yellow colour. It’s bold yet subtle and a extremely refreshing. Just like lemonade! 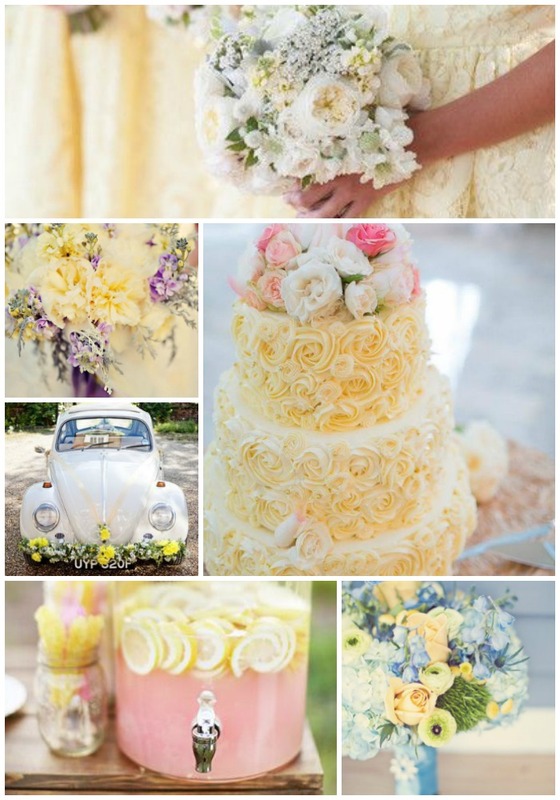 According to The Knot’s Hottest Wedding Trends of 2016, calming colours will be a major design element when it comes to choosing a wedding palette and when thinking of relaxing, calming hues, yellow is often at the top of those in the knows lists. 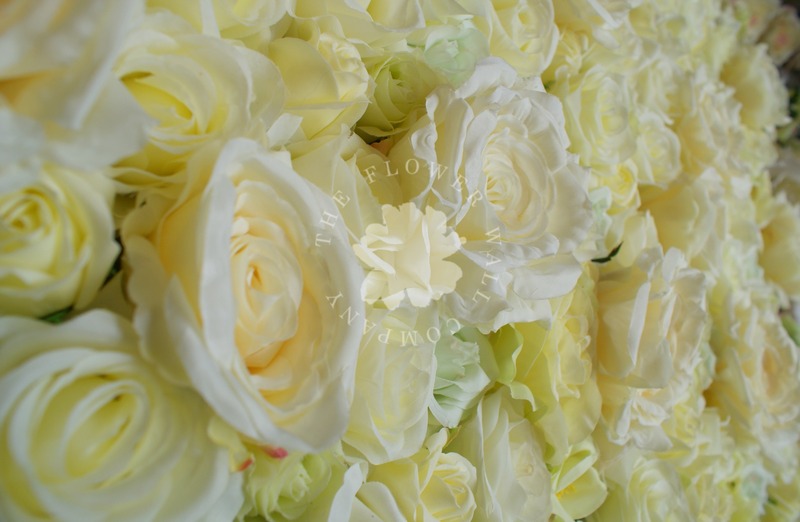 Our Lemonade flower wall is available to purchase now on our website here or if you’d like to discuss this or any other flower wall, drop us an email and we’ll be happy to help! Red – there’s no other color that expresses so much – romance, passion, luck and even anger. No matter your culture, there’s a good chance the color red has an important meaning to special events such as weddings. 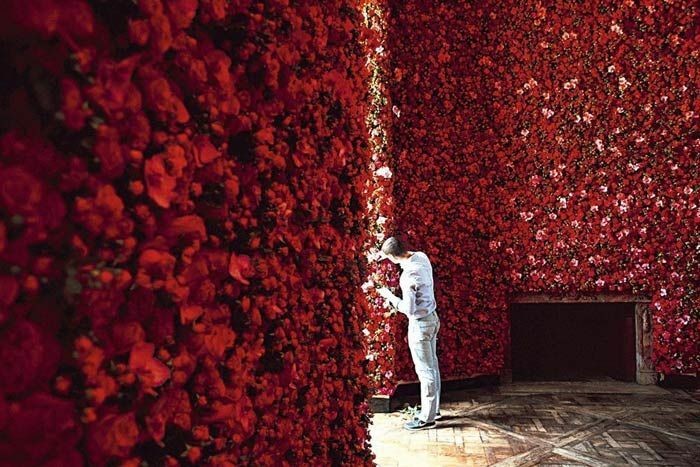 The beauty of the color red is that in flowers, it comes in many different shades and species meaning the rouge flower wall potential is endless. We’ve got many different colors of flower walls available on our website, but one color missing, is red. This of course doesn’t mean we can’t create a red hot wall, but as professional flower wall creators, we pride ourselves in being able to advise clients on the wall of their dreams and making it a reality, and red is a tricky color to make shine. Our service and commitment to making the highest quality floral backdrops simply means we prefer to consult with customers looking for a red wall before purchasing. There are a few important things to consider when deciding on a pure red flower wall, and it’s all about the photography. 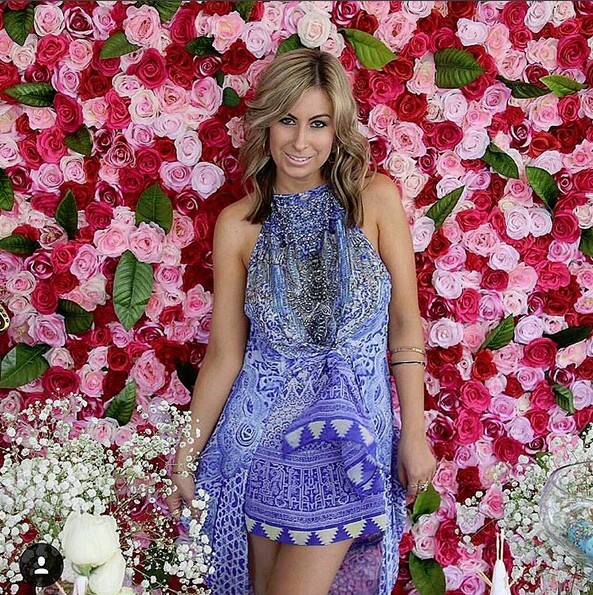 This means that your flower wall may consist of many different types and shade of rose, peony, hydrangea and more, but in photo’s it can end up looking extremely difficult to differentiate any detail at all – and it’s a shame when you unable to fully appreciate a floral backdrops beauty in images after the event! 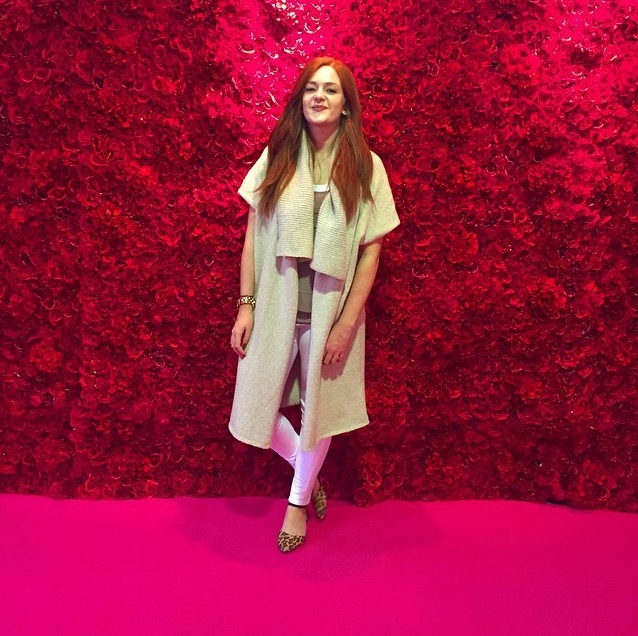 If professional photographers talk about the issues of red, how to contend with having your flower wall photographed by smart phones and digital cameras from your average wedding or event guest? You might have a professional photographer taking some images, but chance are the majority of pictures that will be shared, kept and viewed the most will be taken by guest phones, tablets and digital cameras. Sounds obvious, but a red wall mixed with another color certainly makes it more wow to photograph as the block of red is broken up by another shade. We love pinks and purples! Lighting is often overlooked at events and weddings, but it’s so crucial to setting the scene and helping to create beautiful images. Don’t shoot a red wall in direct light, and if you can have angled lighting – consult with your photographer and venue before hand to really make sure your images make the most of your wall. Even at the recent Met Gala, the red flower wall had hit and miss results. even though it was the same wall being photographed. 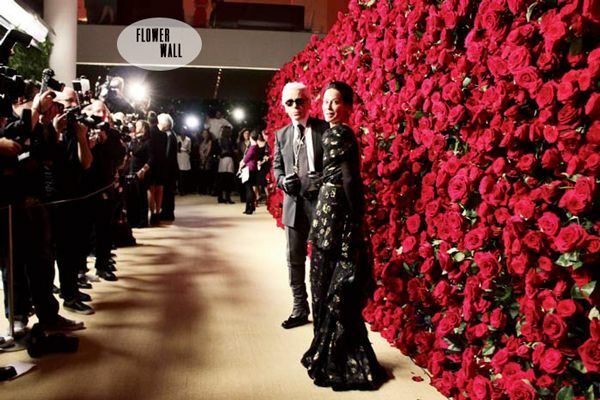 The famous Karl Lagerfeld red rose flower wall was a big inspiration a few years ago when it was debuted, and aside from looking absolutely stunning, the foliage in the wall and larger size of the blooms really helps show detail. Our range of Garden Walls would look absolutely stunning with red blooms and really show them off in pictures. Red will never go out of style, it’s up there in the most classic and inspiring of colors, so if you’re looking for a red flower wall, speak with us about how it will be used and photographed, and how we can help with the design and choosing of blooms. 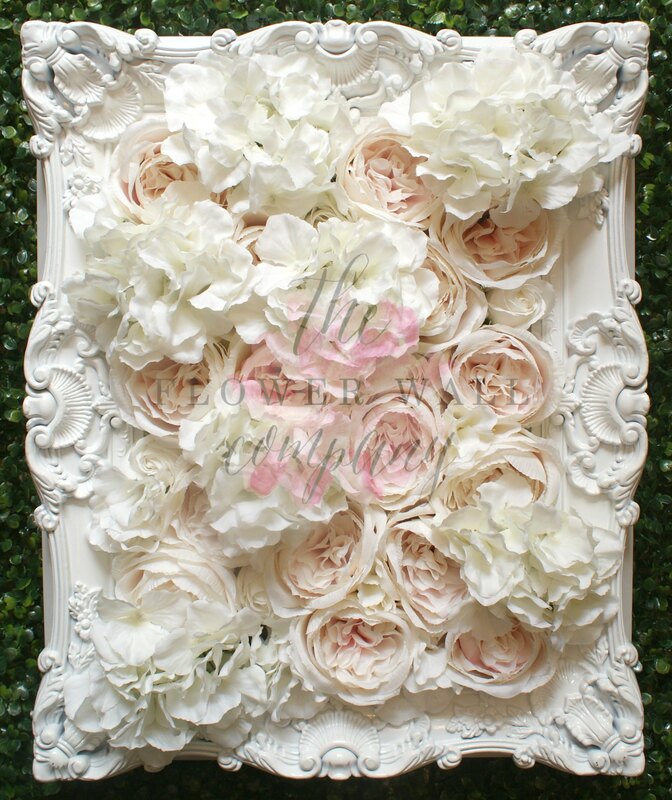 Flower Wall in a frame – the perfect wedding prop or home decor accessory! 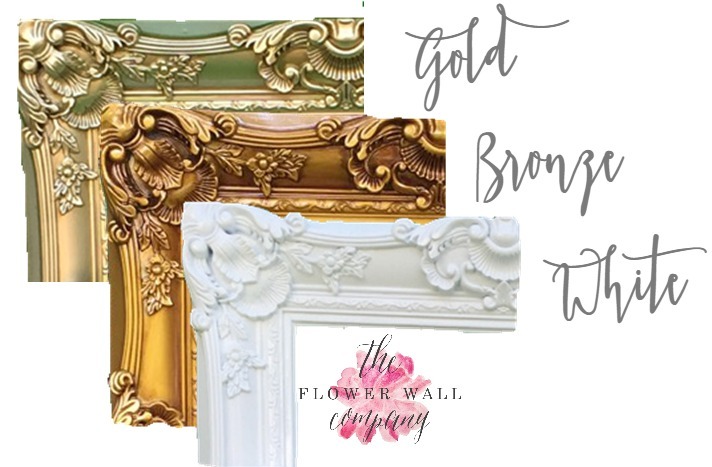 We’re happy to announce the launch of a new section on our website – a flower wall in a frame! 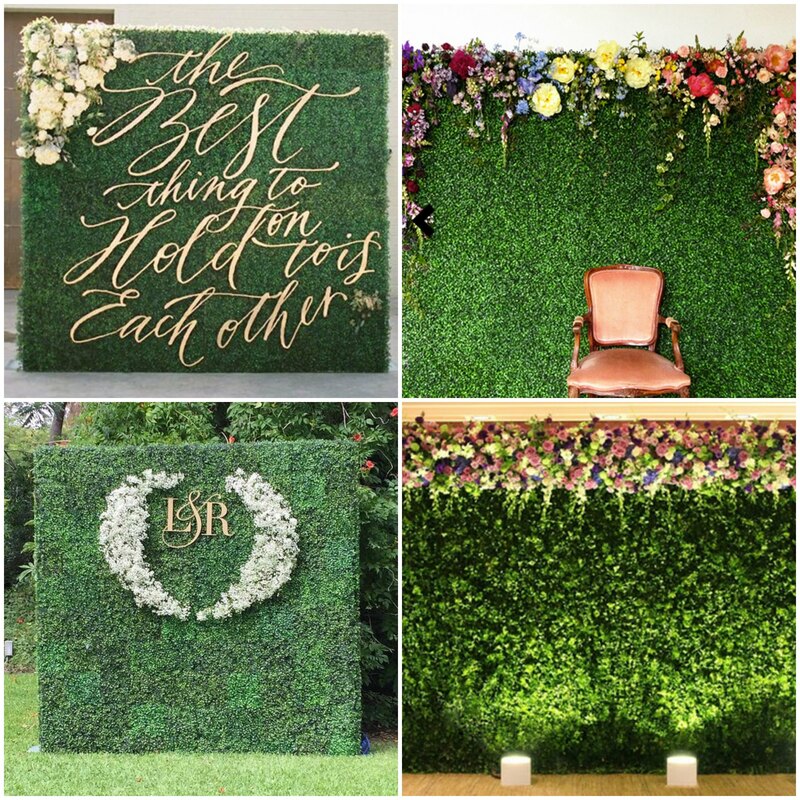 Ever since we created The Flower Wall Company, we have been creating these frames for our wedding planning sister company, Highlife Asia Weddings and are now bringing the versatility and beauty of flower walls in frames to The Flower Wall Company. What we love about flower walls in frames is how elegant they look, adding an instant luxe look to a wedding, event or even office/home decor without the worry of the flowers ever wilting. For event prop hire they are lightweight, easy to transport and sturdy enough to handle multiple weddings making then a fantastic addition to any props catalogue. We’re starting off on our website with a choice of three colour frames in eight sizes, but we will be expanding this into different colours, styles and of course custom orders. We’re able to place any of our designs into the frames or if there are any custom designs we are more than happy to create that. 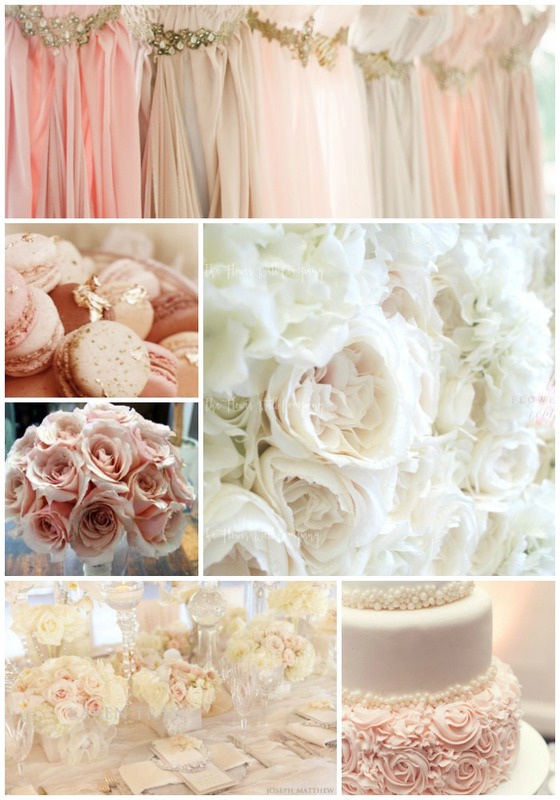 Mood Board for Wedding Wednesday: Blush, blush, blush! 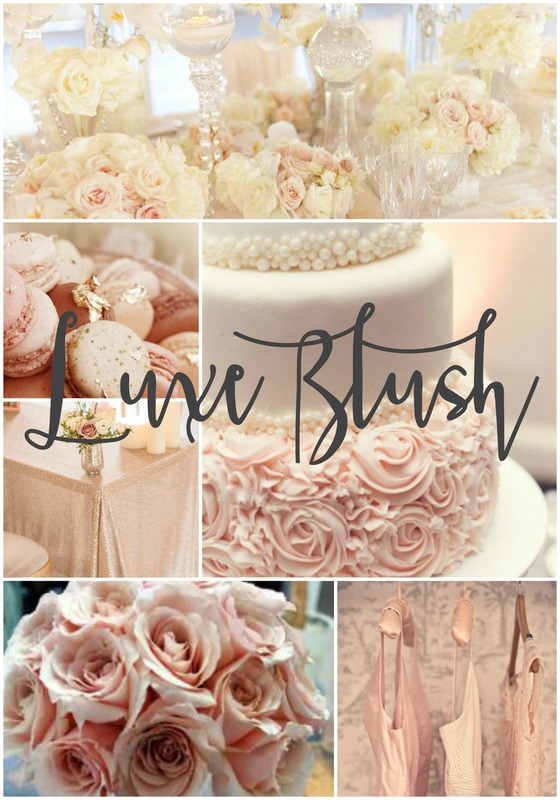 Blush colour weddings are here to stay! They’re dreamy, elegant and all about delicate tones. 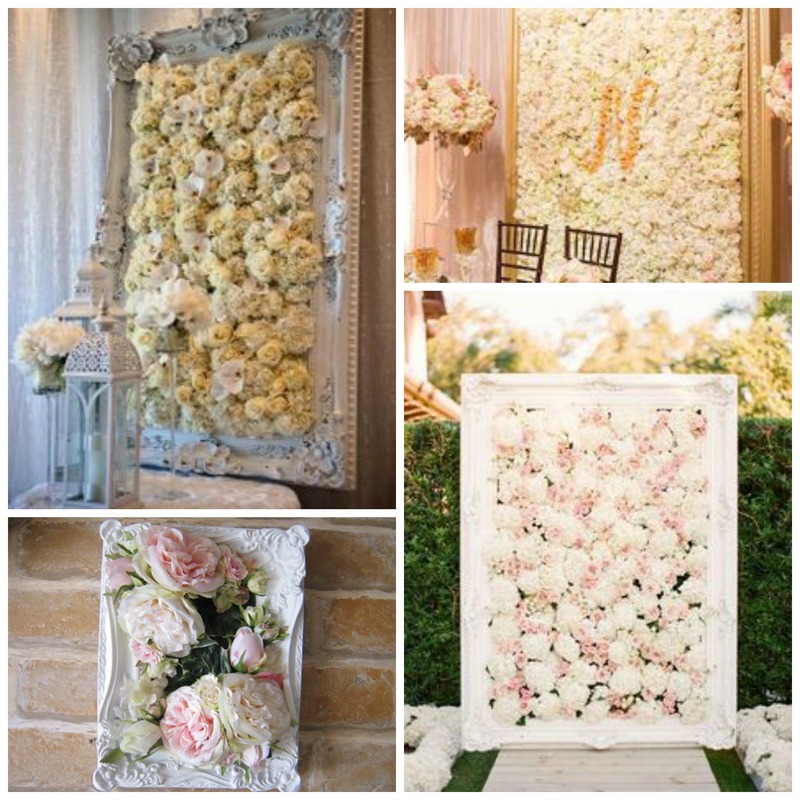 Pinterest is packed full of blush colour mood boards, so we thought we’d pin one ourselves with the addition of our gorgeous Luxe Blush flower wall! You can follow us on Pinterest here and discover our wide range of flower walls in use as well as what inspires us. Happy Wedding Wednesday! 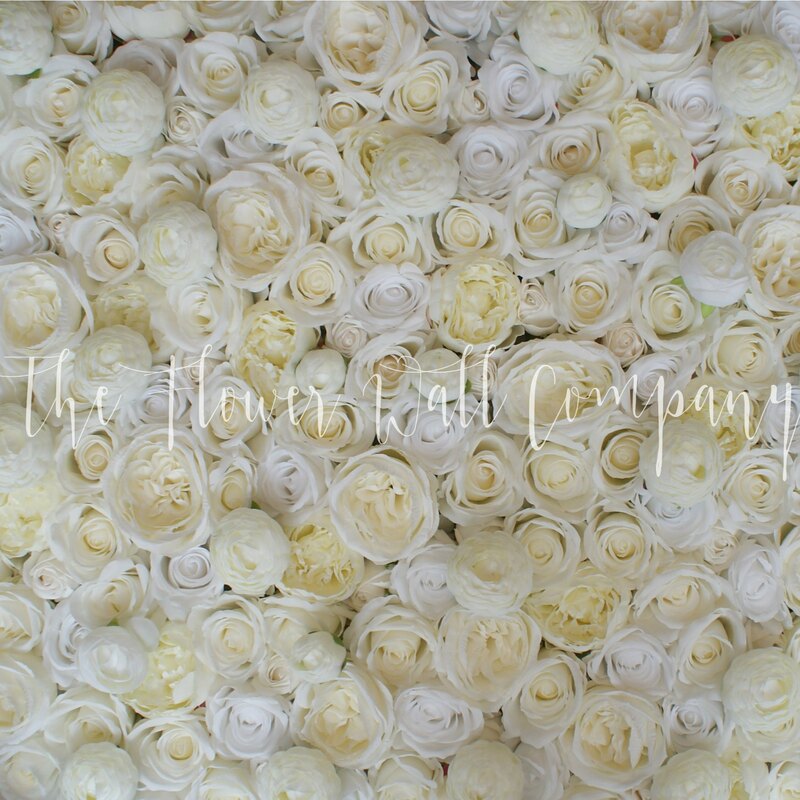 It’s been a busy few weeks here at The Flower Wall Company catching up with orders from over the Chinese New Year holiday and getting back into the full swing of things. So now we are happy to start launching our new designs, and we are starting with new flower walls that are perfect for vintage weddings. The shabby chic styling of baby’s breath, small roses and larger statement florals will combine to create gorgeous floral backdrops for the elegant, vintage inspired bride or event. 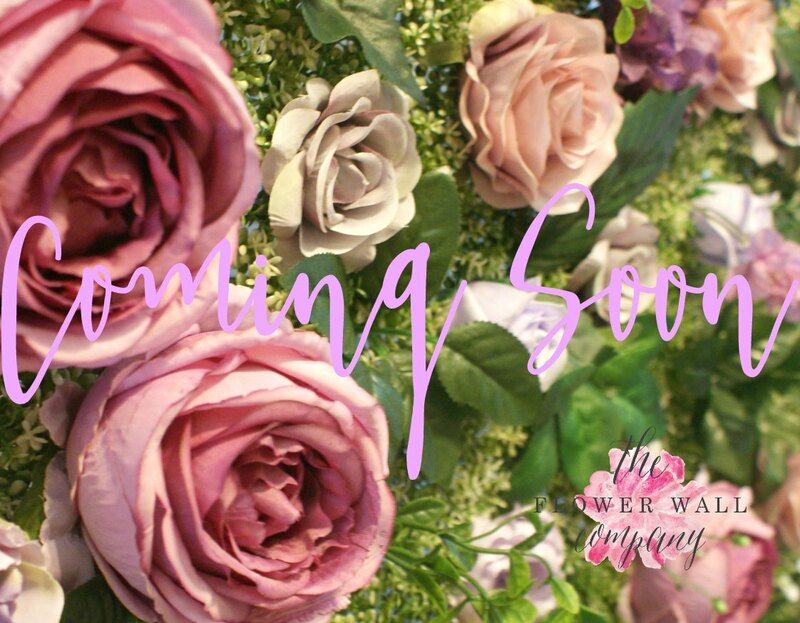 Coming soon, the new flower walls will launch with a limited supply introductory rate, stay tuned for more details in the next week! 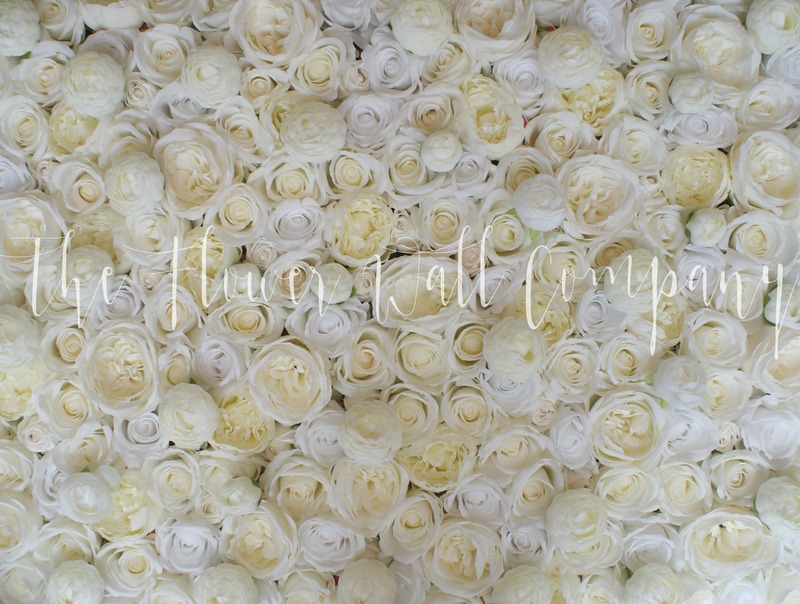 Soon we will be launching our new designs for 2016, all featuring our custom coloured and designed silk flowers meaning you can expect gorgeous florals that can’t be found anywhere else. Before we debut our new walls, we thought’d we’d share the inspirational colours we’ve chosen for our new floral backdrops. 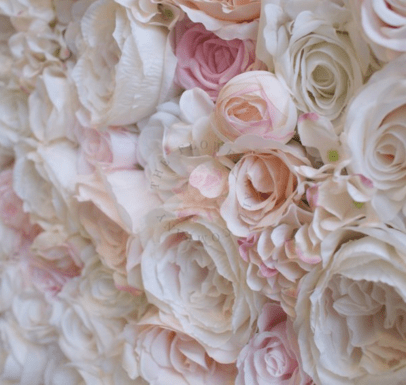 To fit in with the continuing trend of soft, elegant colours, we have designed a blush flower wall with gorgeous Austin roses that we just know will look divine at weddings and other events. We can’t wait to share the images of our upcoming photo shoot for this wall, we are super proud of it! 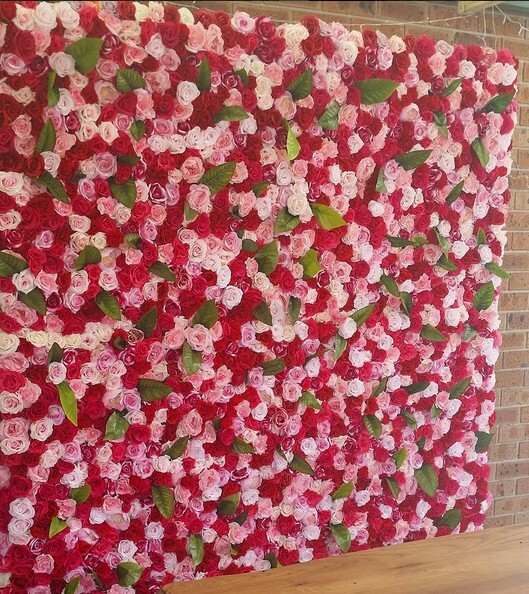 We’re absolutely loving how gorgeous The Flower Wall‘s Pretty Pink flower wall is looking in Sydney! Don’t get us wrong, we love the pale tone walls of white, cream and blush but every now and again you need a bold, juicy coloured wall to make a statement.